INVESTMENT in palliative care services could help to save millions of dollars being wasted in futile end-of-life care in Australian hospitals, says a leading palliative care expert. 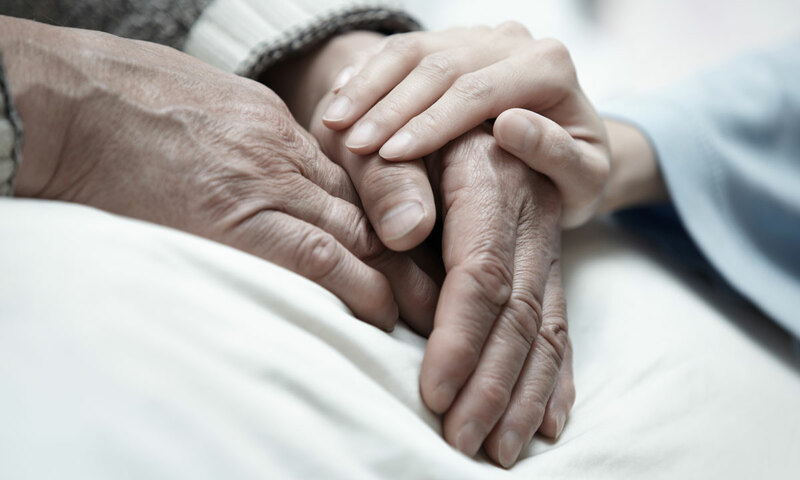 Professor Gregory Crawford, professor of Palliative Care at the University of Adelaide, said that a greater focus on community-based, end-of-life care would help to reduce the amount of non-beneficial care provided to patients in acute hospitals. Professor Crawford was commenting after Queensland researchers estimated that non-beneficial hospital care for patients at the end of life was costing about $153 million annually. The retrospective study, led by researchers from the University of Queensland and the Queensland University of Technology, investigated the care provided to 907 patients who died after admission to three tertiary hospitals in the state in 2012. The researchers found that about 12% of patients received non-beneficial treatments towards the end of their life. This treatment was provided for an average of 15 days, including 5 days in intensive care. The researchers estimated that, nationally, this accounted for 41 000 acute hospital bed days each year. Futile treatments were identified using a 47-item instrument based on Supportive and Palliative Care Indicators Tool (SPICT) criteria, and reviewed by 55 consultants covering a range of specialties. Professor Crawford said that the provision of non-beneficial care in acute hospitals at the end of life was well known, but it was useful to have the magnitude of the problem documented. While Professor Crawford said that the concept of futile treatment could be subjective, he said the authors had used the well recognised, evidence-based SPICT criteria to identify those patients likely to be at the end of their life. Professor Crawford said that challenges often arose when these patients were admitted to acute hospitals in crisis. However, Professor Crawford said that with only 200 palliative care specialists across Australia, access to services was challenging. For example, he said, in South Australia only about 20–25% of patients received support from a specialist palliative care service before their death. Professor Crawford said that incorporating palliative care services into chronic disease models of care could help to improve end-of life care. “We would like to implement models where senior palliative care physicians were embedded into chronic disease clinics … to help to improve symptom management in this group, but also improve the conversations about the extent of interventions [for each patient],” said Professor Crawford, who is also Chair of Palliative Care SA. Professor Crawford said that state commitments to palliative care were variable, with NSW announcing a spend on palliative care of $300 million in its 2016–2017 budget, but SA committing no funding to palliative care in its most recent budget. On 17 October 2017, the federal government announced a $60 million funding package for palliative care services. Professor Jennifer Philip, Victorian Comprehensive Cancer Centre Chair of Palliative Medicine, University of Melbourne and St Vincent’s Hospital, welcomed the funding, but noted that many of the programs were existing. Professor Philip said that a “whole of health focus” including, but not limited to, improving palliative care was needed to manage the issues highlighted in the research. providing support, symptom assessment and relief as an important part of care. Professor Philip said that the engagement of palliative care services alongside this process, including expanding innovative models of palliative care delivery, was crucial. “who were clearly identified as being in the last year of their life” – trouble is there is no reliable way to do this. Might they be in the 2nd-last year or even the 5th-last year, or perhaps in the last few days… who knows? – there is not much science to this at this time? Won’t we need this prognosis science to be reliable before we can work out who to target with extra community based support/resources – and who to ‘exclude’ from our usual healthcare system? The issue is not necessarily that we need more specialist palliative care but that all doctors take responsibility for providing treatment which is tailored to the individual and balances likely benefits with burdens and harms. Palliative care is at one level simply what our predecessors a generation ago would have recognized as good medicine. increasing subspecialisation and the rise of the single organ doctor is a major driver of the problem. Exhausting all therapeutic avenues before referring on to a palliative care service in the last week or two of life can create a sense of abandonment among patients and families. Palliative care can provide specific interventions to improve quality of life and reduce symptoms. It is also essential that all doctors have the skills to communicate realistic goals and expectations, and are comfortable recognizing and managing the dying patient. The WHO supported work of Spanish professor Xavier Gomez Batiste has much to offer all physicians grappling with patients with advanced chronic conditions .His recent recent ACI address illustrates what can be achieved with care redesign . A working day rarely goes by where I do not approach a patient and their family or loved ones and use his words and concepts. The primary focus needs to be on quality of living in the context of dying. Yes it is dollar saving to have good palliaitve Care however working in this area for many years I become weary listening to the dollar arguement, what about having sense?? Just because you could, doesn’t mean you should. More judicious decision making at the point of Care is what is needed. Good planning, conversations about living and dying. Community acceptance that it is okay to die and the medical acceptance of this!! Sometimes the best medicine is to say no but what I can do for you is comfort and dignity.When we get this right, then we can converse about money.